Congratulations to WOS High School's Jamyria Garrett and Adrianna Johnson for placing second in Girls’ Doubles at the Varsity District Tennis Meet! 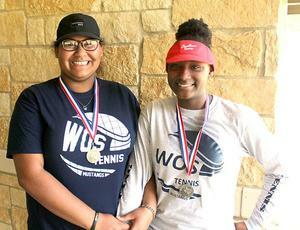 The pair now advance to Regional competition in College Station in April. Go Mustangs!